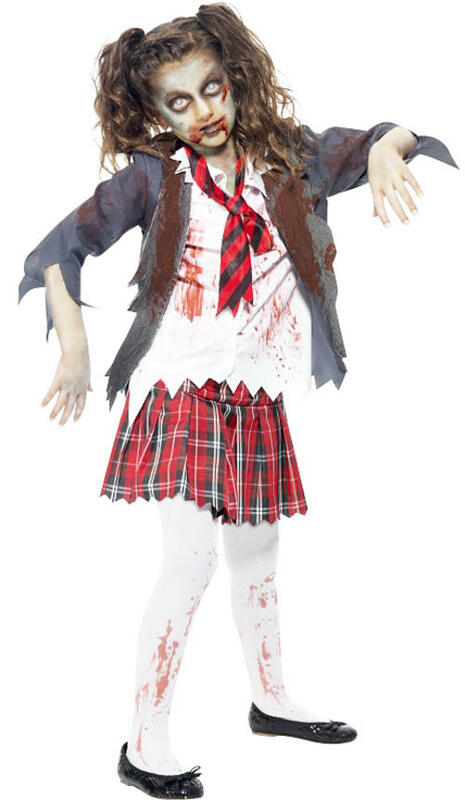 There’s been a huge epidemic that has infected students, so make sure you blend with them in this girls Zombie School Girl costume. The typical school uniform is now transformed for the walking dead. The costume, covered in huge blood stains, consists of a tartan skirt, grey tattered jacket, mock shirt, and clipped tie. Go after your living classmates in this fancy dress costume at Halloween or zombie themed parties.